OnePlus has teased the launch of a new handset in collaboration with luxury British supercar brand McLaren, and now details of the new OnePlus 6T edition have surfaced online. According to a new report from oft-reliable blog MySmartPrice, the limited edition McLaren handset, which is being marketed with the tagline "Salute to Speed", will sport an impressive 10GB of RAM, coupled with 256GB of internal storage. It'll be unveiled during a presentation at the McLaren Technology Centre in Woking later this month, and we'll be there, saluting. This latest report reveals that OnePlus will be one of the first manufacturers to offer a smartphone with 10GB of RAM, following the likes of the Nubia Red Magic Mars, Oppo Find X, and Xiaomi Mi Mix 3. 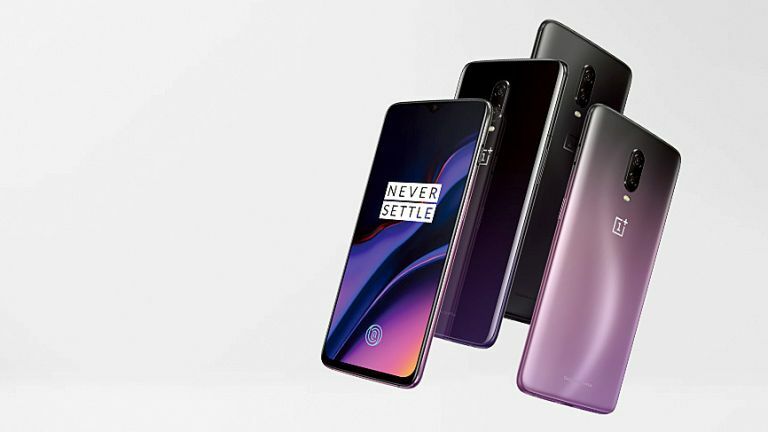 However, unlike these rival handsets, OnePlus 6T will be available in more markets worldwide. Despite the frankly ludicrous amount of RAM squeezed into this flagship handset, the limited edition OnePlus 6T will seemingly still have 'only' 256GB of internal storage. OnePlus already offers a 6T variant with 8GB of RAM and 256GB storage for £579, so the upgrade to 10GB of RAM will be the only differentiating factor with this Edition – other than the McLaren wow factor, obviously. Benchmark tests already place the existing OnePlus 6T as one of the fastest Android flagships on the market, so it will be interesting to see what difference the extra RAM makes to performance. You're not really going to launch a limited edition handset in partnership with a supercar brand and have it slouch along like a five-year-old iPhone, so it's safe to assume this is going to be a blindingly speedy smartphone. OnePlus is no stranger to custom editions of its flagship handsets, having previously created a Star Wars model of its OnePlus 5T to celebrate the release of Star Wars: The Last Jedi, followed by an Avengers: Infinity War edition of the OnePlus 6. This was made to promote the launch of Call Me By Your Name. No, not really. Alas, the latest report from MySmartPrice gives no hint of pricing for the OnePlus 6T McLaren Edition. We confidently predict it will be more expensive than the £579 top-of-the-line OnePlus 6T, but cheaper than a McLaren Senna. OnePlus will take the wraps off the new handset on December 11, so there isn't long to wait before we find out. The keynote starts at 9:30am (4:30am ET, 1.30am PT) and T3 will have all the latest news as it breaks. Stay tuned, like a highly-tuned supercar. Is it a leak if the brand leaks it on purpose? Can we expect faster speeds, or just a bright orange paint job? Which mobile has the power and features you're going to need? How do two of the best smartphones of 2018 stack up against each other? Which of these excellent 2018 smartphones is the right one for you?